Welcome to our Best Lamb Recipes! Scroll through this listing and choose a recipe for a special event or a casual lunch. No matter what cut you select or how you prepare it, lamb is tender and succulent and the flavor is awesome! 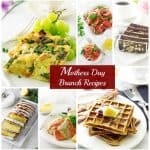 We have put these recipes together in honor of Easter Sunday that is coming soon! Easter Sunday is also known as Resurrection Sunday to commemorate the resurrection of Jesus Christ our Savior. Scripture tells us in John 11:25-26 as Jesus said: “I am the resurrection and the life. He who believes in Me, though he may die, he shall live. And whoever lives and believes in Me shall never die. (NIV)….. If you love lamb, we have lamb recipes for any occasion. Try one of our recipes that feature lamb as the main ingredient. If you're looking for breakfast, lunch, dinner, or an appetizer, we got you covered. 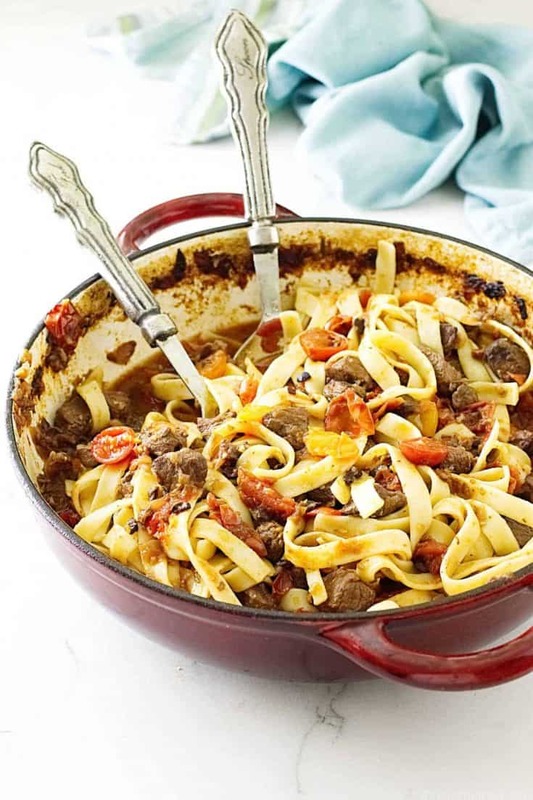 Our Lamb Sugo has tender lamb chunks swimming in a rich sauce that is full of flavor. 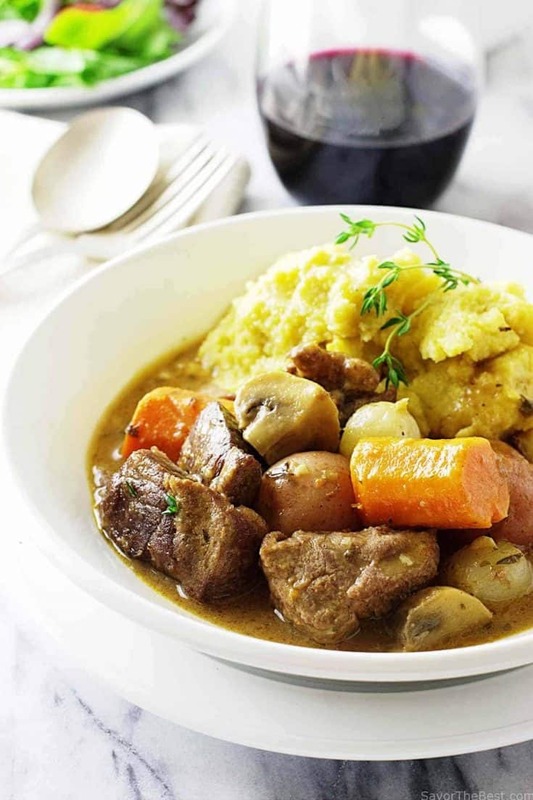 This rich lamb stew is easy but it doesn't compromise on flavor. Garlic polenta pairs incredibly well and it only takes 10 minutes to whip together. 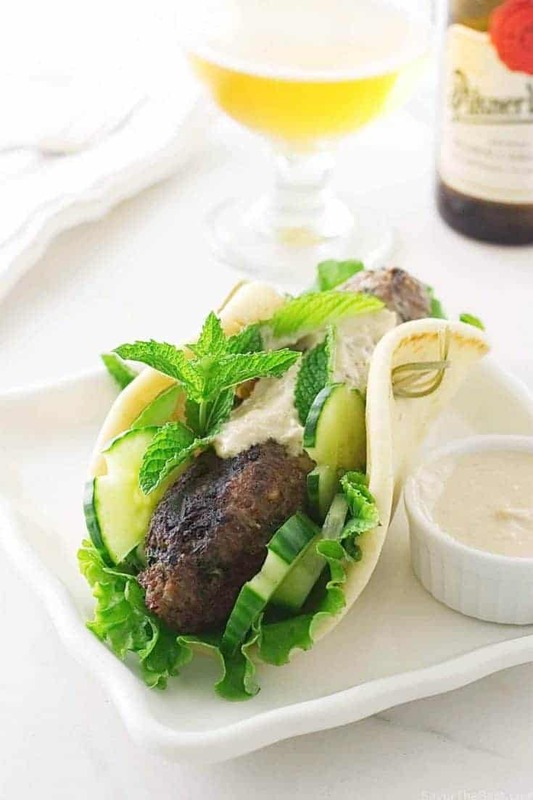 Grilled Lamb Kofta Kabab Sandwiches in soft, warm pita bread. This sandwich is good for lunch or dinner. 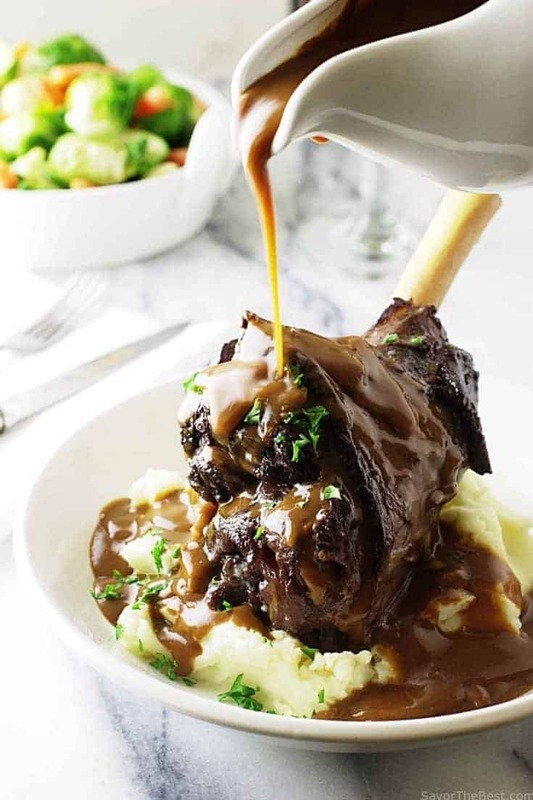 We love braising because it creates a tender, fall-off-the-bone, lip-smacking, finger-licking, flavor-packed lamb shank. You have to make this! Don't forget the silky, rich gravy to pour over the top! 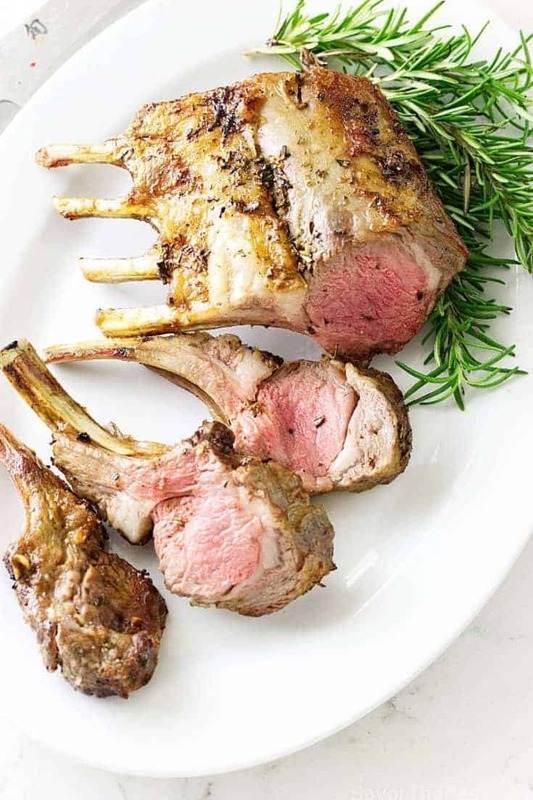 This Garlic Rosemary Roasted Rack of Lamb elevates this dinner from ‘special’ to extra-special’. 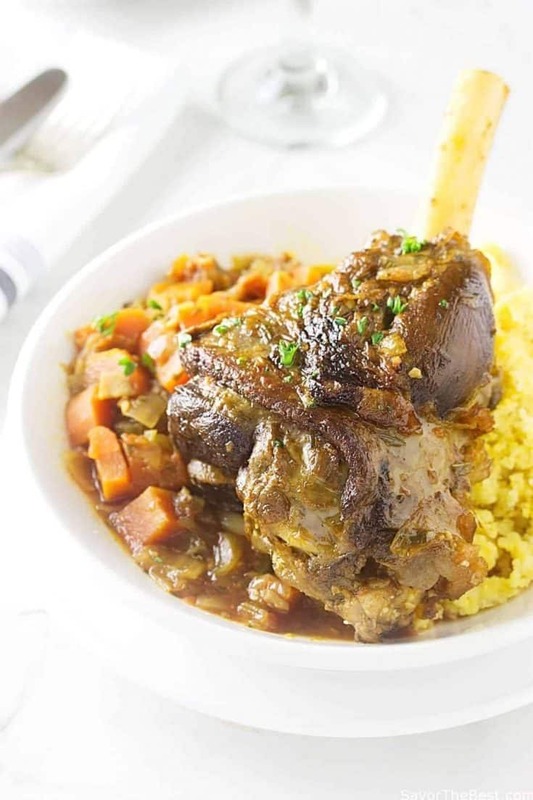 Lamb Shanks - Osso Buco Style is braised long and slow in wine, vegetables and herbs. Don't worry about a knife, this baby is fork tender. 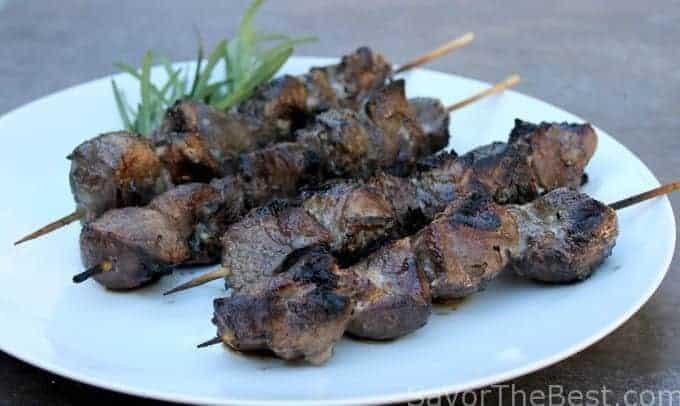 These grilled lamb kabobs get a soaking in a simple marinade then they cook to perfection on a hot grill. 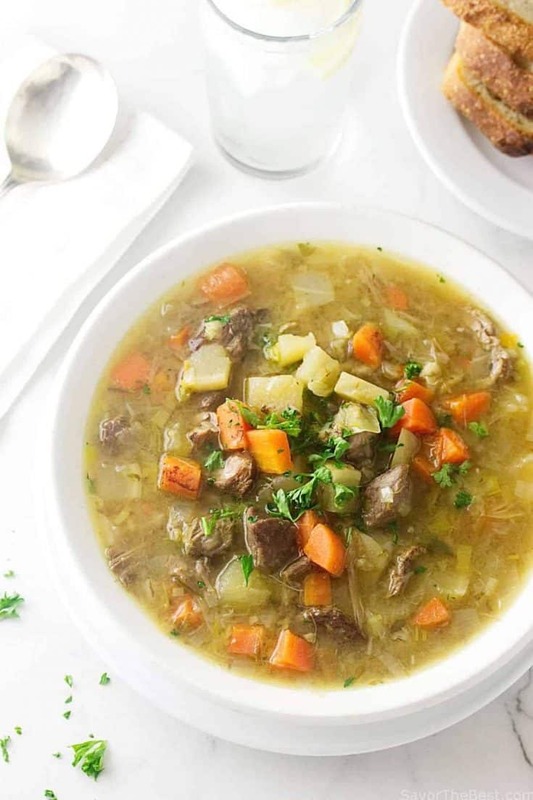 This Scotch broth is a soul-warming soup made with lamb, barley and root vegetables. 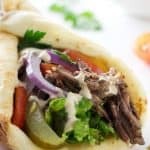 If you haven't tried pairing mint with lamb you have to give this a try. 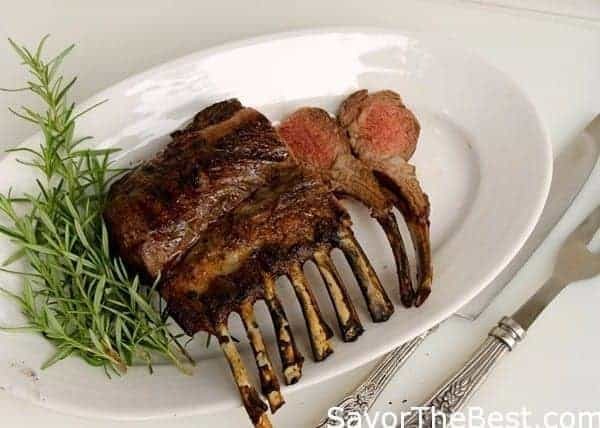 Our mint pesto compliments this grilled rack of lamb perfectly. 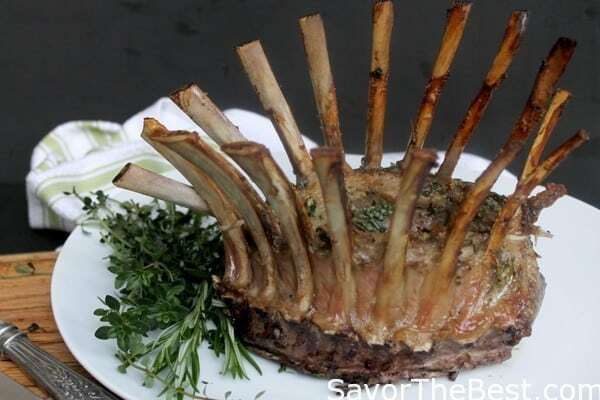 This classic crown rack of lamb makes a statement and will be the centerpiece on the table. 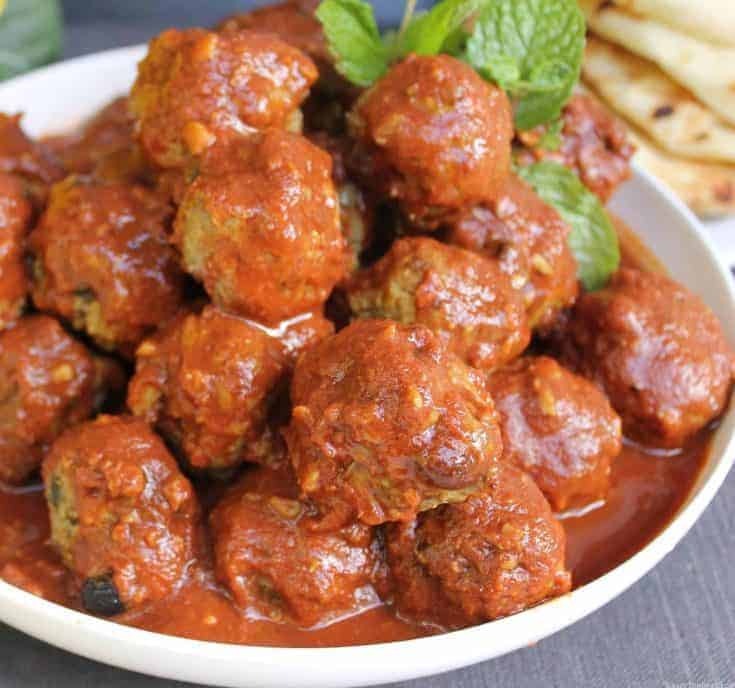 These Moroccan lamb meatballs in a spicy tomato sauce are the perfect balance of sweet and savory. 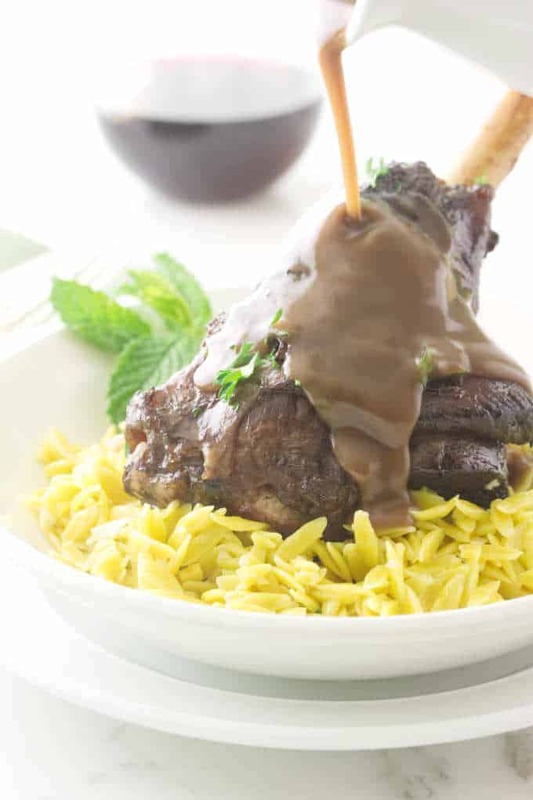 The lamb shanks braise long and slow in a spicy, herby, Moroccan sauce. You end up with a fork-tender lamb that goes perfectly with lemon-garlic orzo. 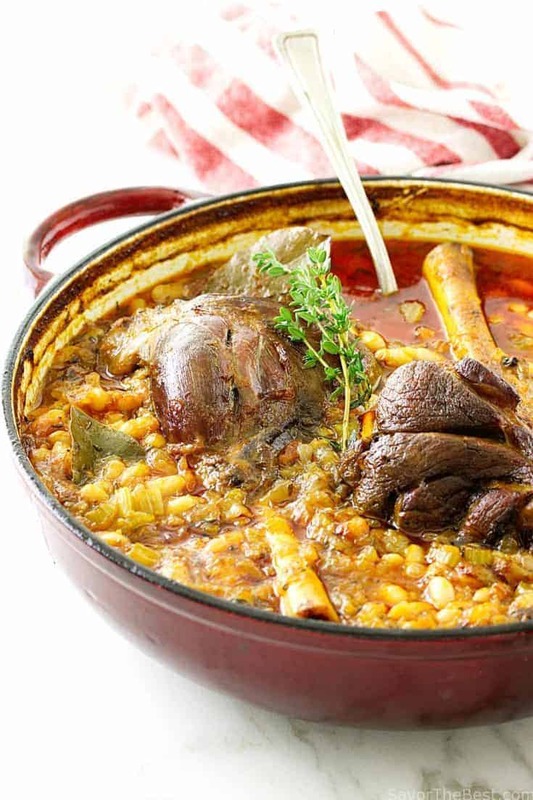 Lamb Shank Cassoulet reminds us of classic comfort food with class. You can't beat the flavors of the savory mix of vegetable, fresh herbs, wine, and Great Northern beans. 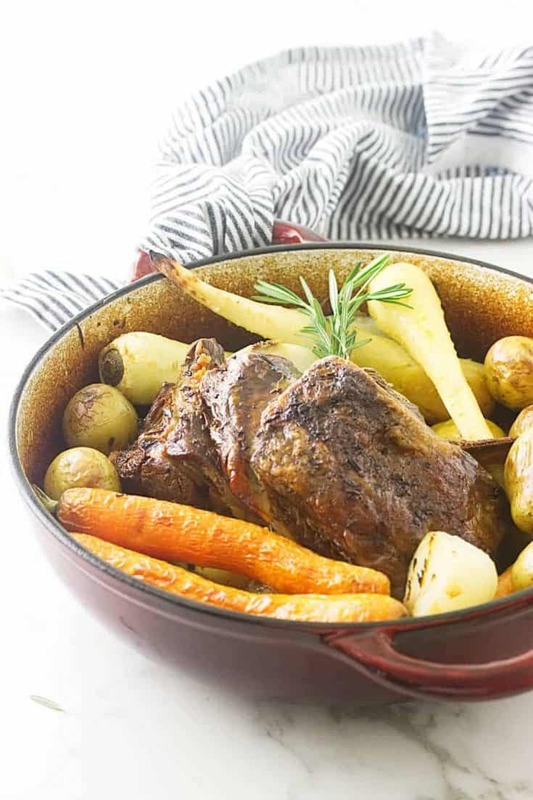 This Slow-Roasted Lamb Shoulder with root vegetables is as easy as making a traditional pot roast. The lamb is tender and succulent and the vegetables are cooked to perfection. Make a flavorful sauce with the pan juices and you will be in heaven. 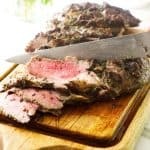 This juicy herb roasted leg of lamb is buttery tender and succulent. Let the oven do all the work while you sit back and enjoy the guests. 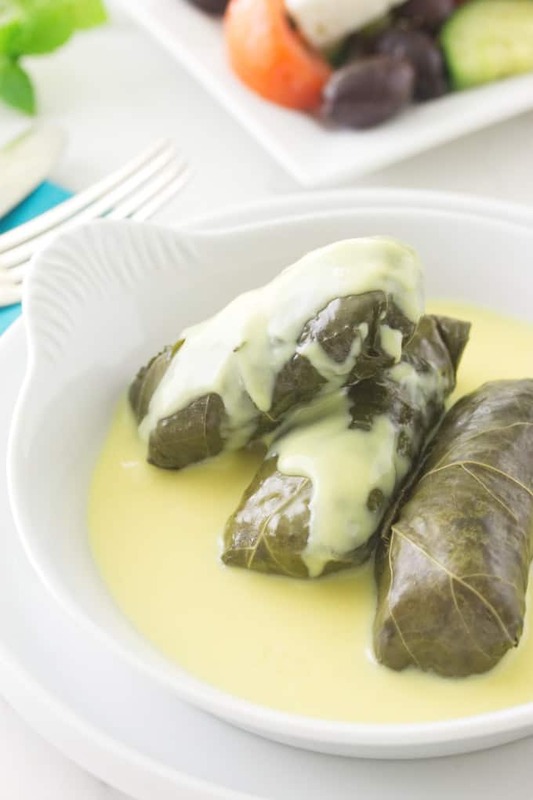 Lamb stuffed grape leaves with avgolemono sauce are filled with ground lamb, rice, and fresh herbs. Your gonna want a spoon to slurp up the tangy lemon sauce. If you have leftover lamb then this Shepherd's pie is the perfect recipe. 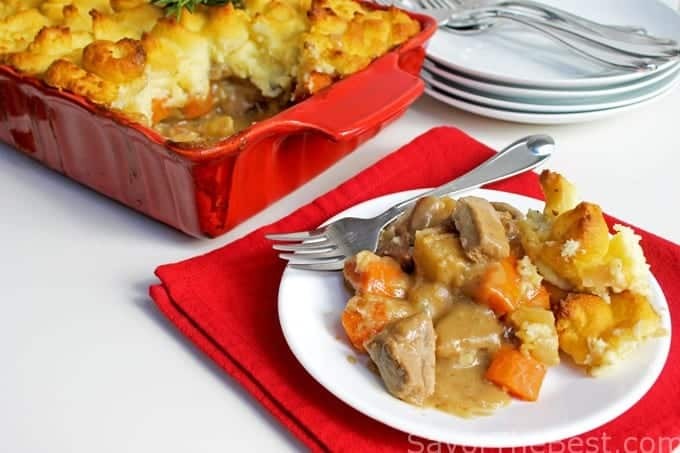 Use your leftovers to make a hearty stew then top it with creamy mashed potatoes. Everyone will be licking their plates clean. 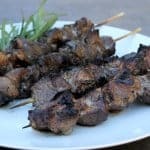 What’s your best lamb recipe? 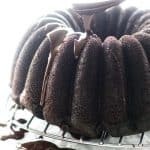 Have you made one of these recipes? We would love to hear from you. Follow us on Instagram and share your latest recipes with us. It’s an amazing recipe.I like your healthy and delicious food recipe. Thank you for share it. All those lovely lamb shanks! 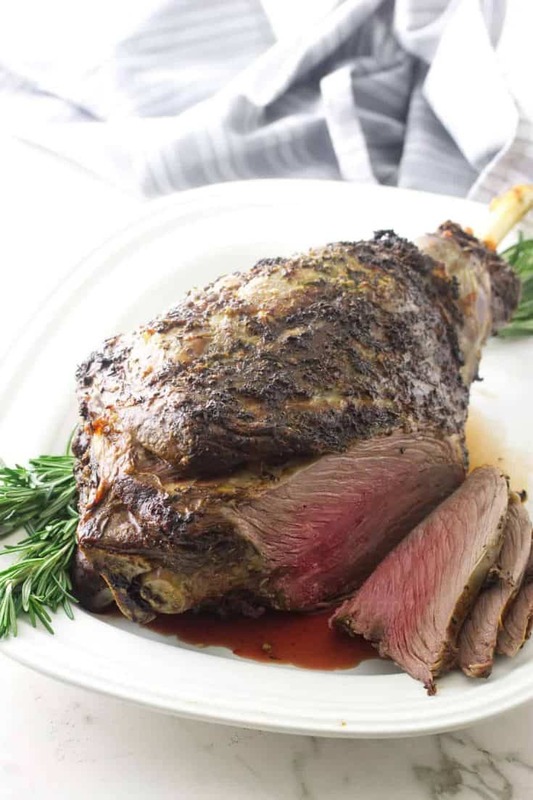 The markets here haven’t carried any for months, but Hubby did find a full leg of lamb, finally, Since it’s far too long for the two of us, he’ll divide it into at least two, maybe three, roasts. We’ll prepare and serve the shank end on Easter and freeze the other cuts. I’ll keep your recipes for other meals of lamb on subsequent Sundays. Thanks so much! A blessed Passover/Easter to you. Dividing one roast for several meals is a great idea. It’s much cheaper to do that than buy small portions of lamb. Thanks for the comment and you have a blessed Easter/Passover as well. Love lamb!! 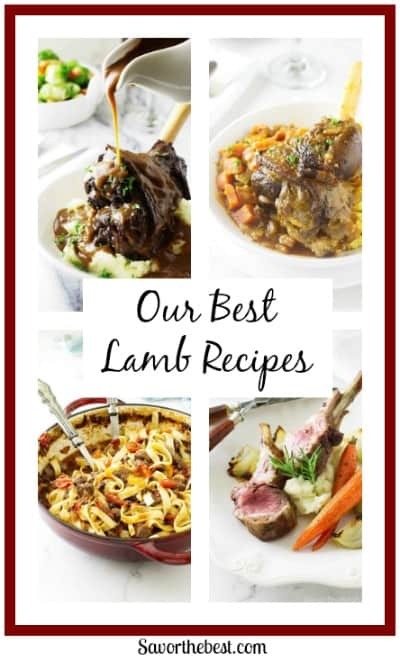 Particularly like lamb shanks, and boy do you deliver with the recipes for that cut — you have so many good ones! Terrific roundup — thanks. Hope you have a great Easter! Thank you, John….and may you also have a wonderful Easter celebration! 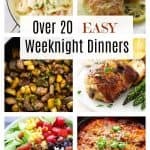 Oh my goodness, all of these recipes look so delicious and wonderful! 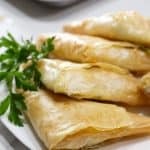 I don’t cook lam that much, but now I am seriously thinking about it because there are so many great dishes in this list! Everything looks so good! We’ll have lamb for lunch this weekend, maybe we’ll use one of these recipes. Thanks for sharing them. What a beautiful and delicious collection of recipes! Great idea for Passover and other holiday feasts too! 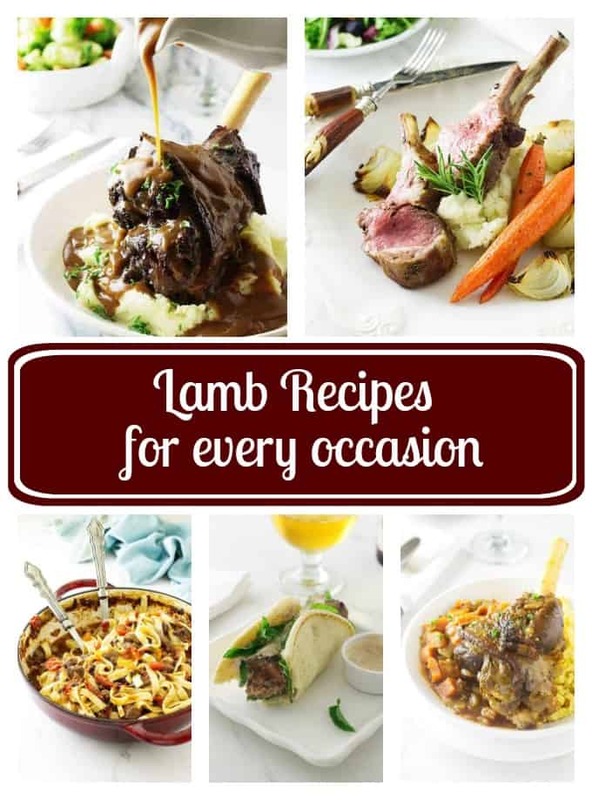 What an impressive collection of lamb recipes, and great idea to round them up together for Easter! Beautiful photos.